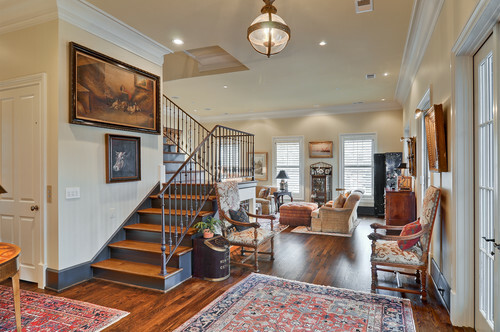 This exquisite freestanding four-story Brownstone at 145 2nd Avenue S. sits in the lap of luxury in the heart of historic downtown Franklin within walking distance to the city’s charming shops and businesses. 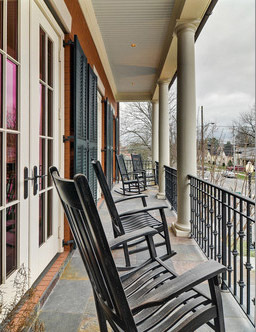 The pedestrian-friendly neighborhood offers the best of city life without the big city hustle and bustle, as well as a quaint, friendly atmosphere surrounded by history and plenty to do. With four bedrooms, five full baths and one half bath and a total of 5,720 sq. 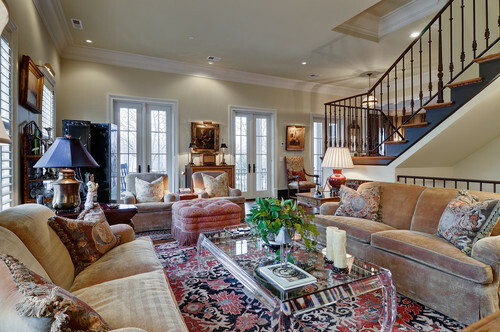 ft., this home exhibits stylish, immaculate details and finishes from floor to ceiling. 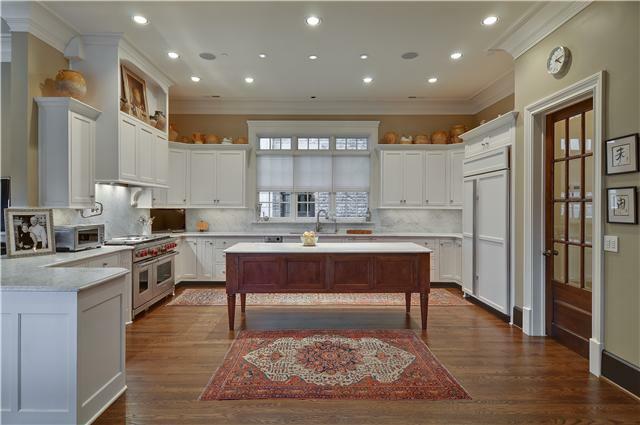 Built in 2008, the home offers beautiful medium toned natural hardwood floors, soaring ceilings, detailed Crown molding, picture frame molding, a light color palette, marble, tile and stone materials throughout. 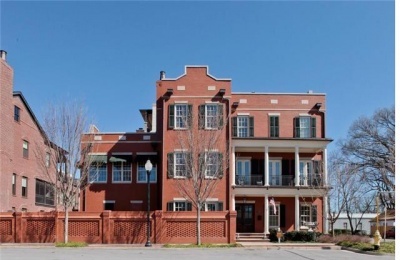 This freestanding, four-story Brownstone at 145 2nd Avenue S. in downtown Franklin sits in the heart of historic downtown Franklin and within walking distance to the city’s charming shops and businesses. The pedestrian-friendly neighborhood offers the best of city life without the big city hustle and bustle, as well as a quaint, friendly atmosphere surrounded by history and plenty to do. A double wooden door with glass-panes welcomes buyers into the entry that reveals a handsome wooden staircase with iron detail. 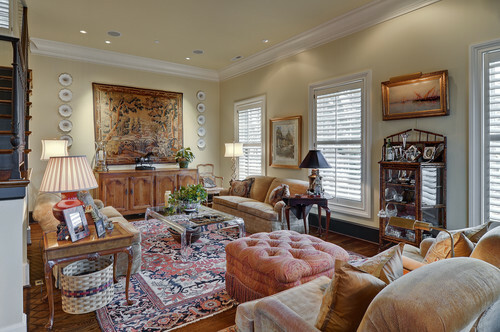 The living room off the entry provides a cozy yet spacious environment for visiting equipped with a fireplace and wooden built-in bookcases with cabinetry. 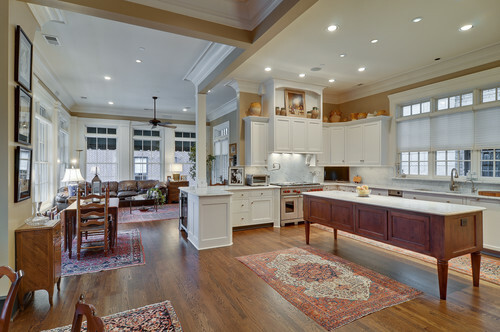 The main floor exhibits a spacious, open floor plan consisting of the family room, dining room, kitchen, breakfast room and sunroom flowing together seamlessly. 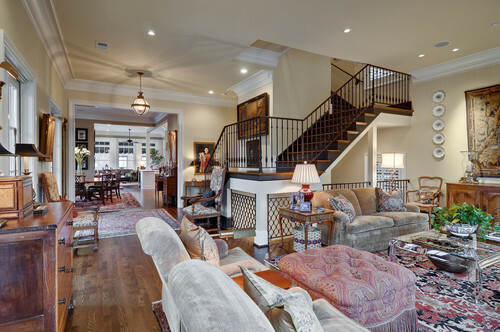 The family room opens to a second-story front porch. 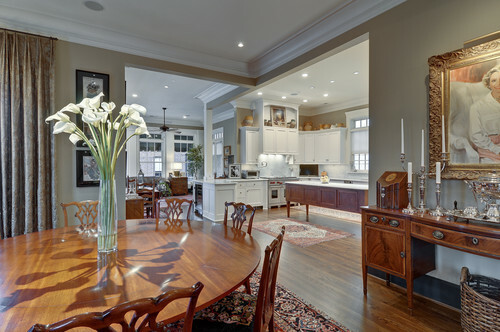 The elegant dining room offers Crown molding and recessed lighting, which leads to the near perfect kitchen resting on an immaculate white backdrop with exquisite finishes and details. 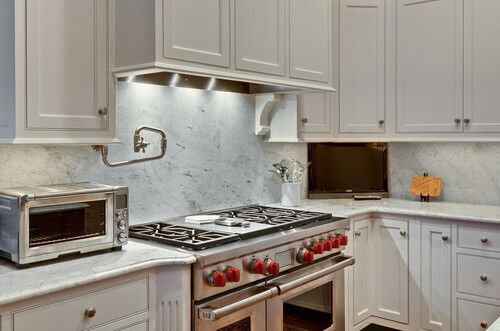 The spacious, streamlined kitchen is accented with white marble countertops with white painted wood cabinets. 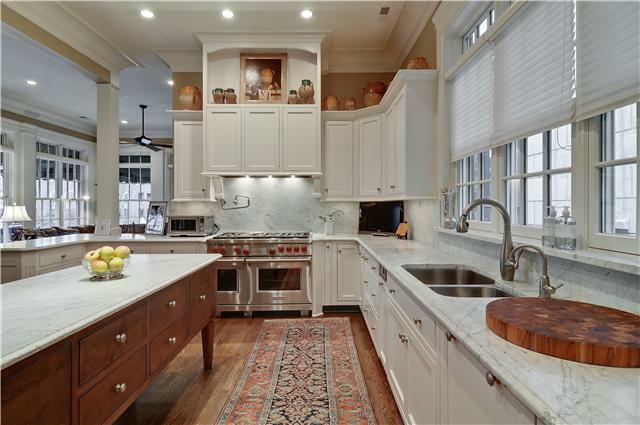 A freestanding natural wood contrasting island also with a white marble top is an eye-catching centerpiece that adds special character to the kitchen. 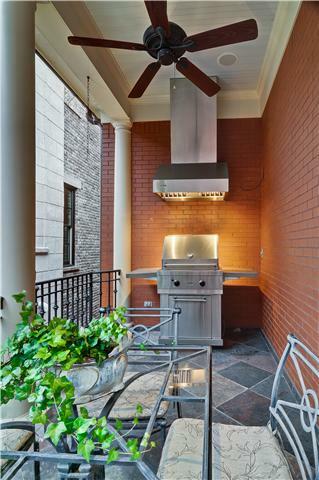 The kitchen is equipped with state-of-the-art appliances and an impressive gas burning chef’s stove. The sunroom off the kitchen offers a sunny spot illuminated by a wall of windows that sets one at ease, which opens onto the rear entertainment balcony. 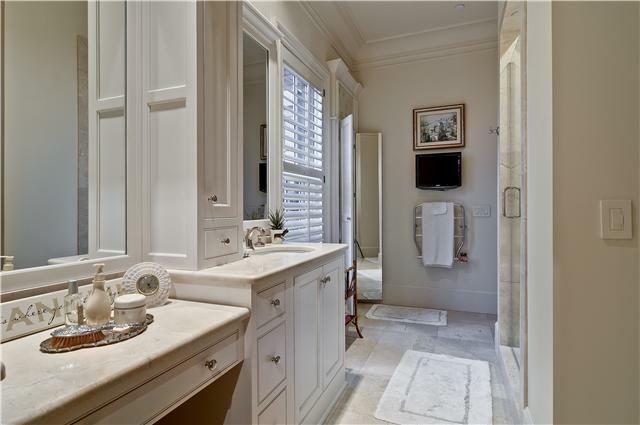 The spacious master suite contains his and her bath suites with all of the amenities and style that suits masculine and feminine taste, including heated floors and towel racks, walk-in closets, built-ins and a three-way mirror in hers. 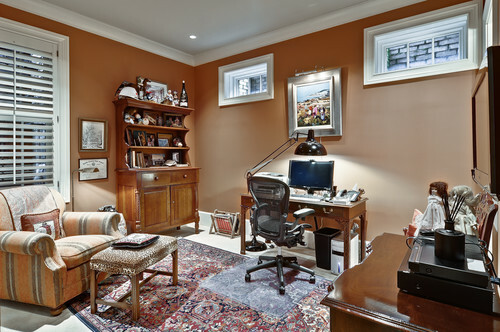 With great attention to detail, style and updated finishes, buyers will never want leave. 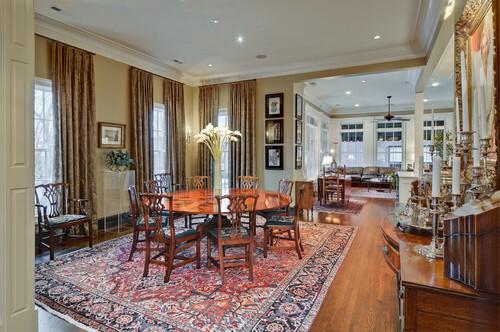 This exquisite Brownstone offers the comfort, style and location in the heart of downtown Franklin that makes it difficult for anyone to resist. 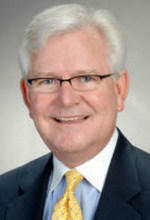 The neighborhood is zoned for the excellent Franklin Special School District, which includes Liberty Elementary, Freedom Middle, Freedom Intermediate, and Franklin High School, which is in the Williamson County School district. It is listed at $1,475,000. Click here to view full property listing.